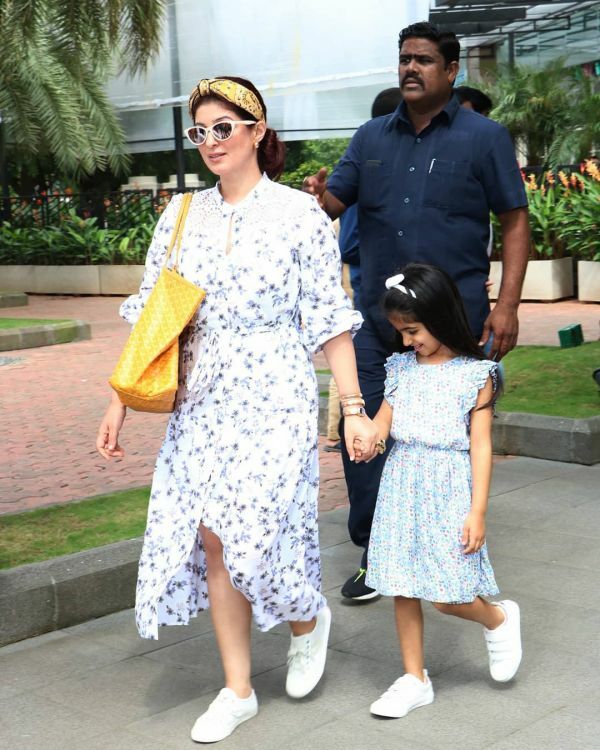 *Twinkle Twinkle* What A Star: Mommy Khanna Nails City Dressing With Daughter Nitara! The adult version of dressing up on the weekend aims at looking your best with minimum effort and maximum comfort. 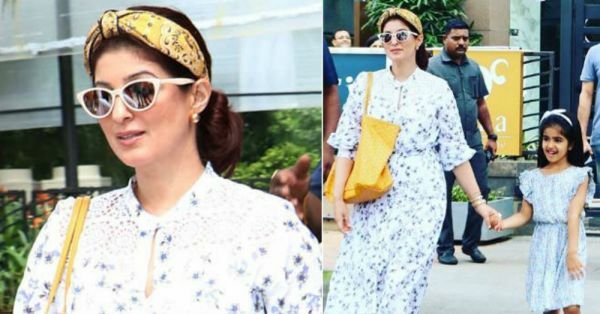 Twinkle Khanna packaged all of the above into her outfit for a family lunch and needless to say, looked très chic as always. 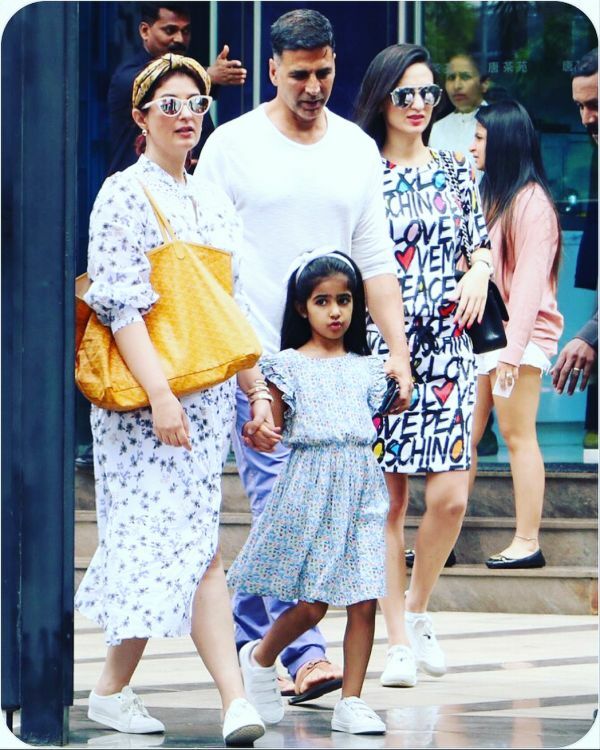 It might just have been a casual lunch with hubby, daughter Nitara, Akshay Kumar and a family friend, but Twinkle brought her A-game with a breezy floral outfit. She wore a white and blue floral print midi shirt-dress, which was belted at the waist with a self-tie ribbon. Twinkle did a stellar job of accessorising. 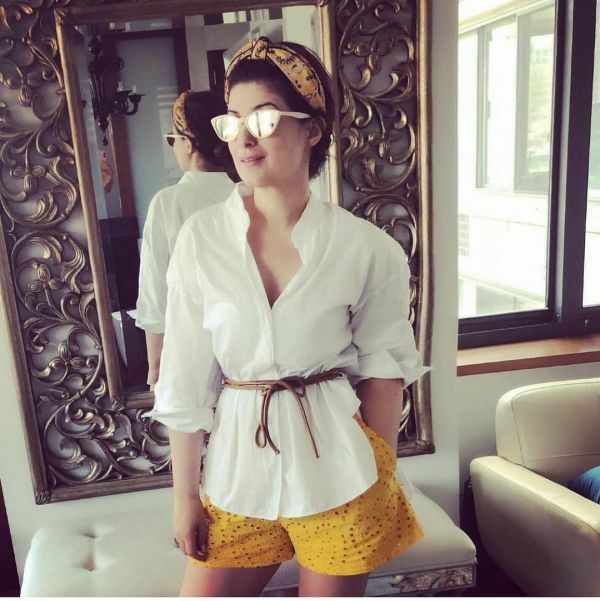 In fact, the accessories are what made her outfit so fresh. Also, isn't it the cutest that mommy Khanna also dressed up Nitara like her? A floral midi dress, white sneakers and a knotted headband - who doesn't love a mother-daughter twinning moment? We know we do! You know what's got us even more excited? The fact that it won't take much to recreate this look at home.